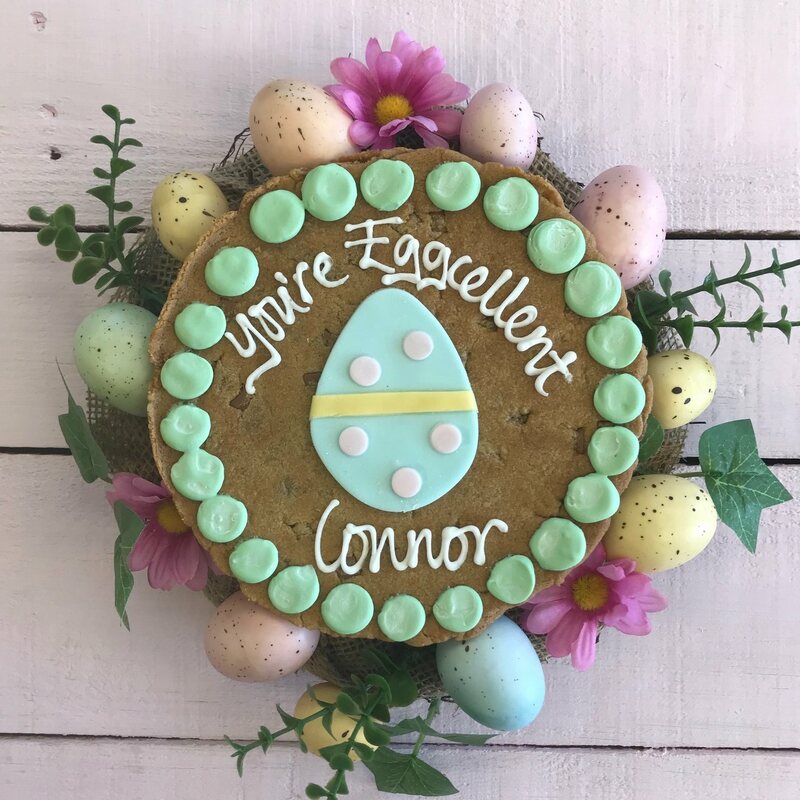 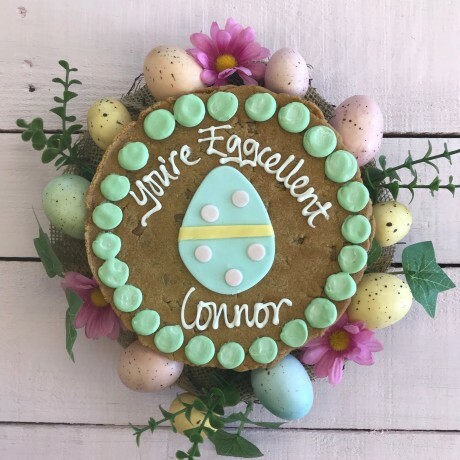 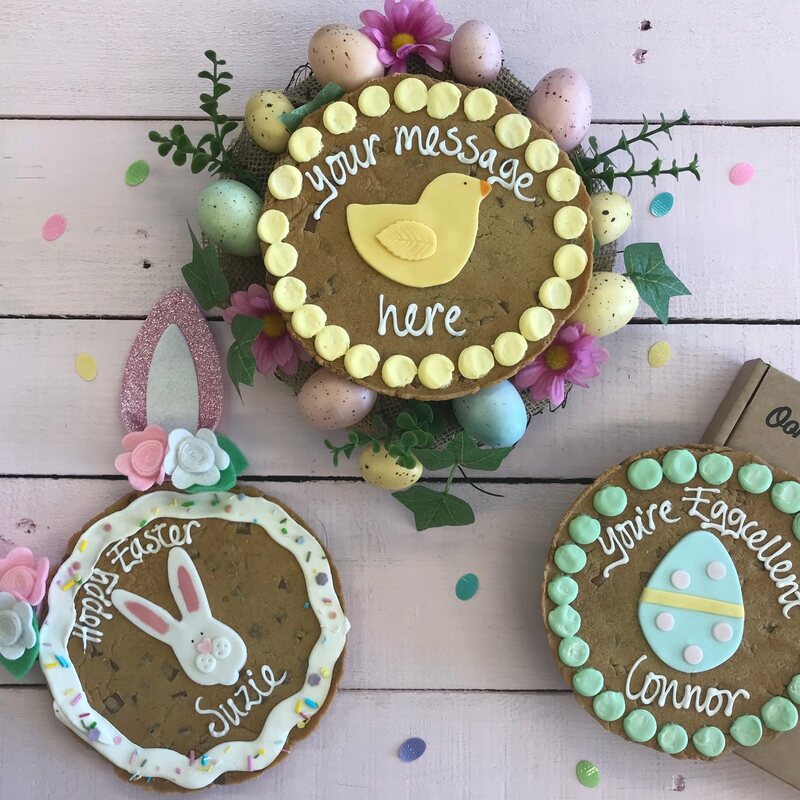 Wish someone a Happy Easter with this delicious personalised Giant 7" Chocolate Chip Cookie. This delectable edible gift is handcrafted with dollops of delight in the Ooh & Aah boutique bakery and decorated to perfection to ensure the lucky recipient will enjoy every last tasty crumb. 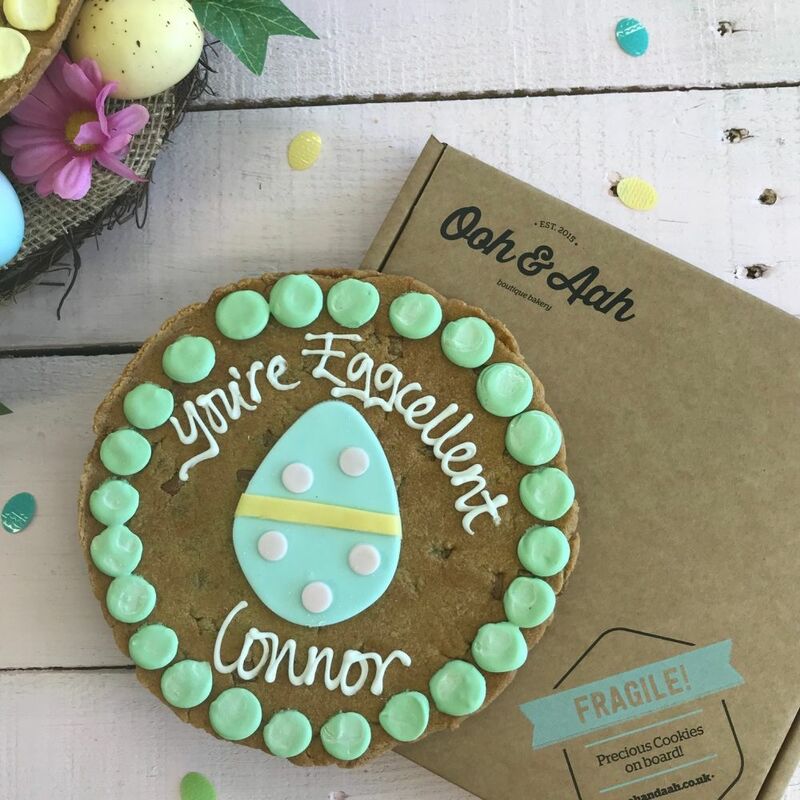 Ooh & Aah speciality cookies are freshly baked to give the ultimate crunch on the outside and the soft and chewy centre which we all love.